SAN LEANDRO, Calif. -- San Leandro police said today that they think the shooting of four people at a popular Latin nightclub early Monday morning may have been a hate crime since it appears the suspects targeted the victims because of their sexual preference. Lt. Robert McManus identified the suspects in the shooting in the parking lot of Club Caliente at 14572 E. 14th St. at about 1:55 a.m. Monday as 28-year-old Carlos Cervantes of Oakland, who police believe was the shooter in the incident, and 28-year-old Salvador Lopez Aguilera of Hayward. McManus said the nightclub had been busy on Sunday night, as it usually is, but when the club was closing early Monday morning Cervantes and Aguilera got into "a verbal altercation" with the four victims and made statements about the victims' sexuality. Cervantes then went to Aguilera's van, retrieved a high-powered semi-automatic handgun, returned to the parking lot and joined Aguilera in making additional statements about the victims' sexuality, according to McManus. Aguilera then allegedly ordered Cervantes to shoot all four victims and Cervantes complied by removing the handgun from his waistband and shooting at all four people, hitting them in their legs and feet, McManus said. The four victims, a woman and three men between the ages of 28 and 34, were treated at a hospital for gunshot wounds but have since been released and will make full recoveries, according to McManus. 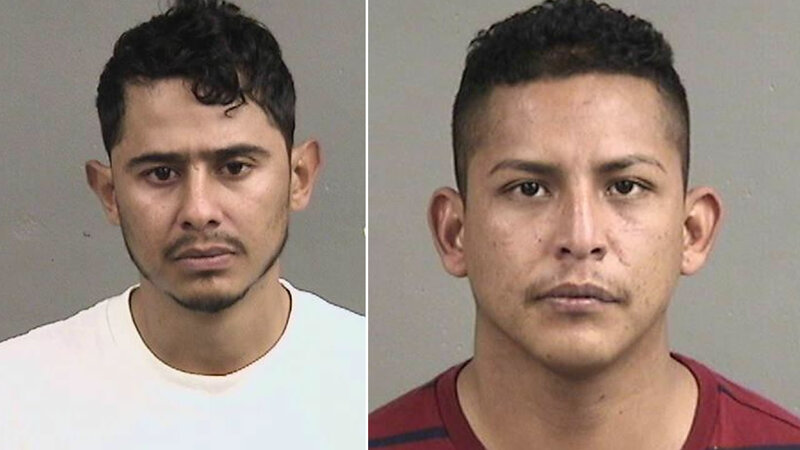 Investigators traced Aguilar's van to his home and conducted surveillance on the two suspects for two days before arresting Aguilar in Oakland on Tuesday morning and Cervantes in San Leandro at 5:30 p.m. Tuesday, McManus said. Police believe that Cervantes was planning to flee the Bay Area and the state, according to McManus. San Leandro police will turn in their report on the shooting to the Alameda County District Attorney's Office on Thursday and are recommending that Cervantes and Aguilera be charged with four counts of attempted murder with possible hate crime enhancements, McManus said. The two suspects, who are being held without bail at Santa Rita Jail in Dublin, are scheduled to be arraigned at the Hayward Hall of Justice at 2 p.m. Thursday. McManus said the four victims are from Livermore and Oakland and had come to Club Caliente, which he said has a good relationship with San Leandro police and draws a Latino clientele from throughout the Bay Area, to celebrate the holidays. McManus said Cervantes and Aguilera are regulars at the nightclub and "could very easily have gotten into Aguilera's van and gone home" early Monday morning but instead "went out of their way to do the shooting." He said surveillance camera footage and witness statements firmly connect Cervantes and Aguilera to the shooting. "There's no doubt we have the two men responsible for the shooting," McManus said.